The girls turn round and round, with much waving of the arms, accompanied by the music of tom-toms and other instruments. Baroda (Vadodara) was a princely state of British India in the present state of Gujarat. 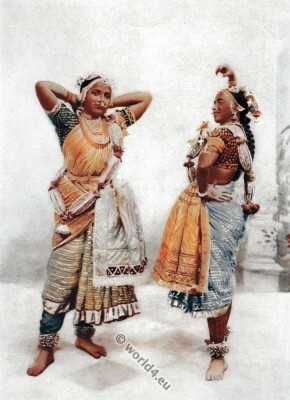 This entry was posted in 10s, 20th Century, Asia, India and tagged Dance costumes, Living Races of Mankind, Traditional India costumes on 11/16/14 by world4.